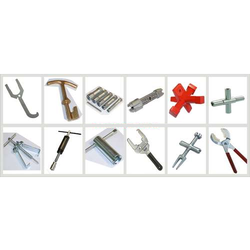 Pioneers in the industry, we offer street key, plumbing tools, water meter key, plumbing pliers, plumbing tool and wrench plumbing tools from India. 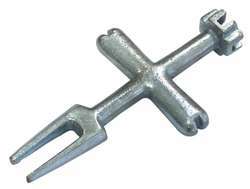 Our firm is involved in manufacturing and supplying a huge range of Street Key. We design the given product following industrial standards by making use of best quality material and modern technology. 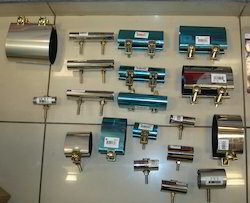 Our firm is involved in manufacturing and supplying a huge range of Plumbing Tools. We design the given product following industrial standards by making use of best quality material and modern technology. We are engaged in offering our clients a superior quality range of Water Meter Key. We design the given product following industrial standards by making use of best quality material and modern technology. We are a highly acclaimed name to offer best quality Plumbing Pliers that is known for its fine finish. 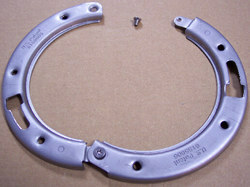 For basin and sink locknuts, trap nuts and toilet spuds. 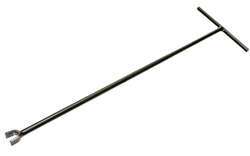 Heavy-duty hardened steel construction. “Soft Jaws” won’t mar or scratch polished/plated surfaces. Vinyl grips for comfort and ease. 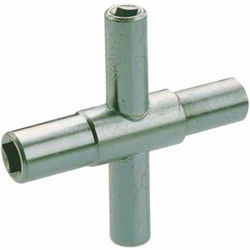 We are the leading manufacturers and suppliers of the Plumbing Tool. Keeping in mind the diverse requirement of our clients we are involved in offering a superior quality of Wrench Plumbing Tools. 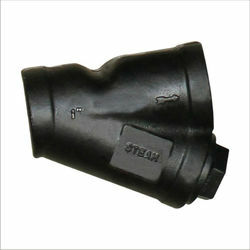 Our range of Wrench Plumbing Tools is extensively used. They are excellent finished during the whole process of developing and other processing. We are considered as one of the trustworthy and prominent organization of this industry, due to our utmost efforts for maintaining the quality. 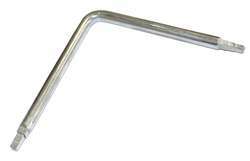 We are the leading and prominent Manufacturer and Supplier of Faucet Seat Wrench. We are a highly acclaimed name to offer best quality Replacement Closet Flange that is known for its fine finish. Repair water leaks around the toilet base. Unique screw-hole tabs attach securely to the wood or concrete sub-floors. Durable epoxy powder-coated finish for corrosion resistance & durability. Expanding design allows The Drain Key also known as ( Key clamp Fittings type ) to internally grip in a 360° pattern. Expands with a crescent wrench to unlock or duplex strainers, jr. duo strainers, jr. basket strainers and tray plug drains. Instructions on package. 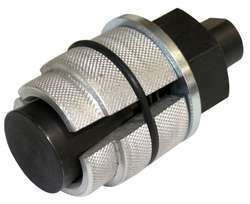 A professional tool that expands inside the drain with 3 knurled steel ‘shoes,’ then turns the drain out using the large nut. Our organization is engaged in manufacturing and supplying of Pipe Reamers that are made using premium quality material that makes the range highly durable and strong. Sharp edges, smooth finish and efficient performance are the features that make the range unique and demanded. We leave no stone unturned in attaining the satisfaction of the customers and thus we also provide customized solution to our clients. 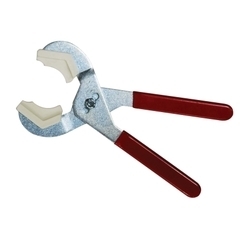 We are a trusted name in the market for manufacturing the highly demanded Pliers for Plumbing. These pliers are made using premium quality material that makes the range highly durable and strong.Our products are widely appreciated by our clients which are situated all round the nation. 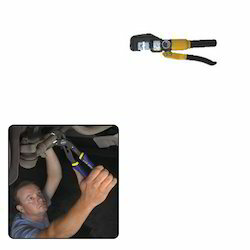 We offer our spectrum of Hydraulic Cable Cutter at most affordable prices to our valuable clients. We are a trusted name in the market for manufacturing the highly demanded of Combined Tap Drill for Construction. 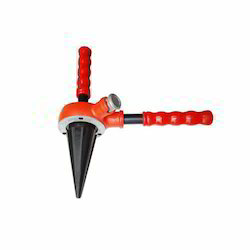 It is used to drill and Tap in water line while under pressure. Special designed tap drill bores into the pipe easy and back portion taps on the same hole portion immediately after drilling without unlock the machine. We are one of the leading manufacturer and supplier of Repair Pipe Clamps, our product range are known for their best quality and high performance, we are engaged in offering a wide quality range to our valuable clients as per industry standard, to meet the market demand.